When you are in dire financial straits, your daily life can be a struggle. You may receive constant calls from bill collectors and receive threats to take away your car or your house. You do not have to live this way. 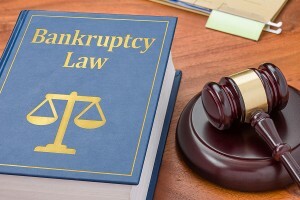 Instead, call the Kepple Law Group, LLC; our firm has a focus on bankruptcy law in Pekin, IL. We work tirelessly on behalf of our clients to get them the legal help they need to improve their financial health and relieve the overwhelming stress of debt. If you would like more details on how to get your debt under control, call 309-282-1545. The decision to file for bankruptcy does not come lightly for most parties. However, bankruptcy gives an opportunity for a fresh start. When you file for Chapter 7 bankruptcy, all your debt (with a few exceptions) will be wiped clean. You can then work to build a solid financial foundation without the worry of collectors on your back. Chapter 11 bankruptcy gives companies time to restructure their debts and obligations. Chapter 13 is a great option for many individuals who can work to make consistent payments to lower the debt they owe and achieve a stable financial future. 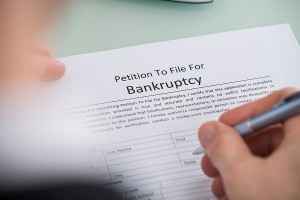 While there is no ideal time to file for bankruptcy, an attorney who practices bankruptcy law in Pekin, IL can help you decide on when to file. A knowledgeable lawyer will be able to look at your debt, income, and expenses and let you know when and how you should file for bankruptcy. Don’t try to file on your own. You can save money and hassle by hiring a skilled lawyer like those you will find at the Kepple Law Group. If you would like to schedule a no-obligation, free consultation to discuss bankruptcy law in Pekin, IL, contact us today! Call 309-282-1545 to speak with a member of the Kepple Law Group.